Profoto has expanded its AirTTL lighting system with the B2, comprising a battery pack and a head "the same size and weight as a speedlight". Profoto has expanded its AirTTL lighting system with the B2 AirTTL 250, comprising a battery pack and head “the same size and weight as a speedlight”. 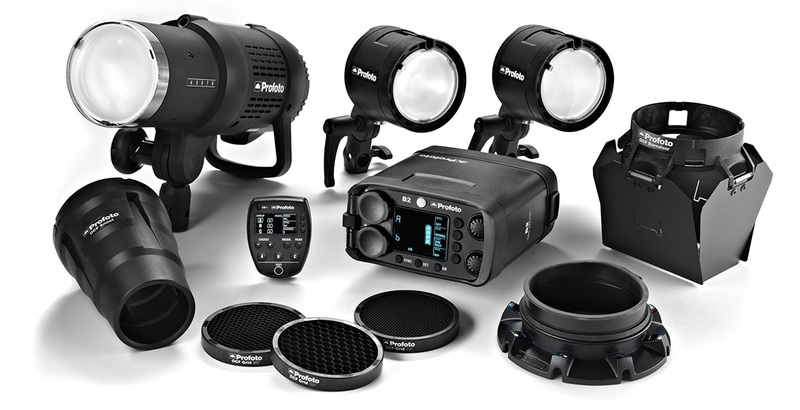 The new B2 pack-and-head complements the B1, a battery-powered monolight, which was announced in 2013. Because it is split into two parts with a smaller, lighter head, the B2 can be used more easily on boom arms and on tall light stands. 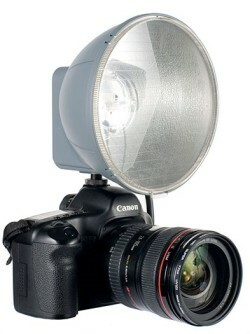 It has half the power of the B1 (250J versus 500J) and inherits its wireless and TTL capabilities. The B2 comes with its own set of light-shaping tools. 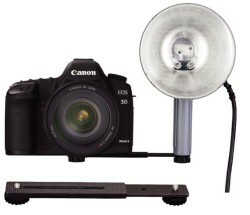 The “Off-Camera Flash” system comprises light modifiers designer to be smaller and lighter than standard accessories, including four new softboxes, a grid, a snoot and a set of barndoors. The unique selling point of the B2, as with the Profoto B1 before it, is AirTTL: a 2.4GHz radio triggering system that provides Canon and Nikon TTL lighting, remote flash power adjustment and high-speed sync (HSS), all controllable from the camera position. Thanks to the HSS support, the Profoto B2 can be used at camera shutter speeds up to 1/8000 second, helping freeze action or overpower bright ambient light. 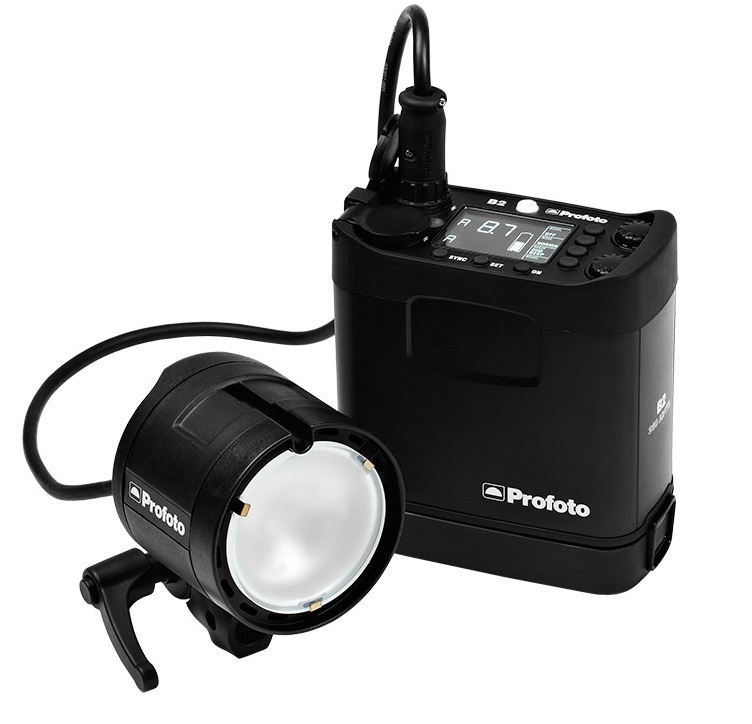 Profoto also makes the nonsensical claim that since the B2 is small and light enough to fit on a camera bracket, it is “the world’s first off-camera flash that can be used both on and off-camera”. This ignores the Jinbei Recharge Digital RD pack-and-head system (pictured) which came out in 2007. The more recent Godox XEnergizer has a similar design. Kits are £1695 for the basic pack and head set, or £2,298 for a two-head “location kit”. Accessories start at £48. For more information, visit the Profoto web site.